CARL RUSSO/Staff photo. 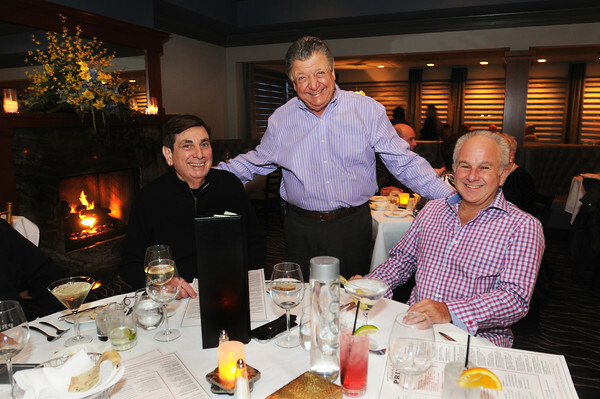 READINGS MAG: Nicholas A. Yebba Sr., President and owner of Teresa's Prime Restaurant and Function Facility in North Reading. He is greeting Ted Tomasone, left of Lynnfield and Arthur Gordon of Middleton. 3/27/2015.